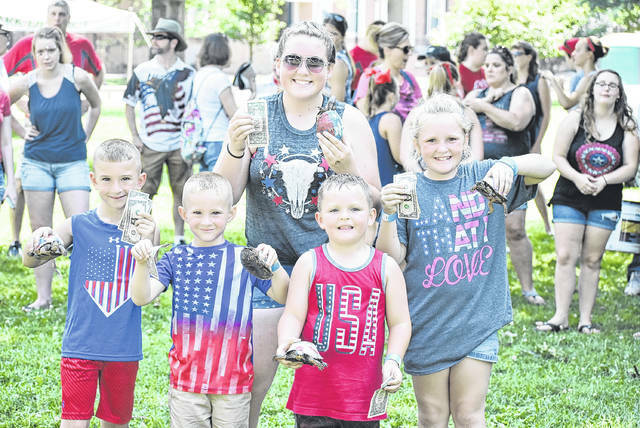 Winners of the tortoise race event display their winning turtles and cash prizes. 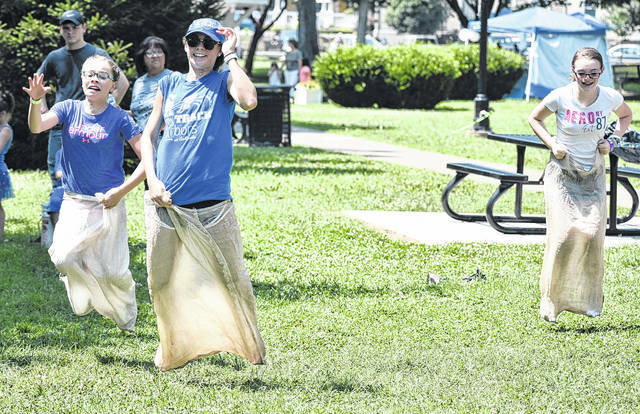 Sarah Watts leads the field during the sack race event held on Wednesday. 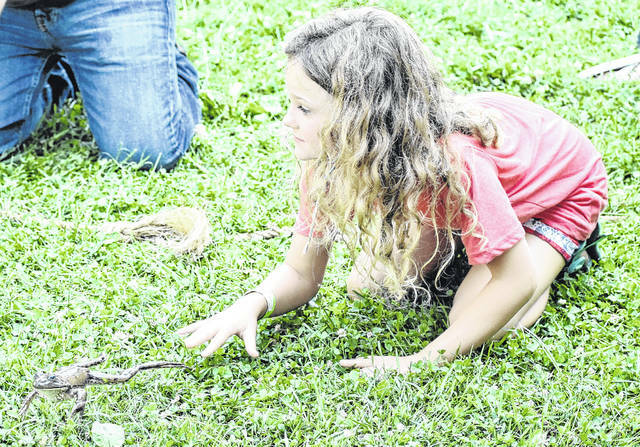 A girl jockeys her frog toward the finish during the frog race event held on Wednesday at Gallipolis City Park. 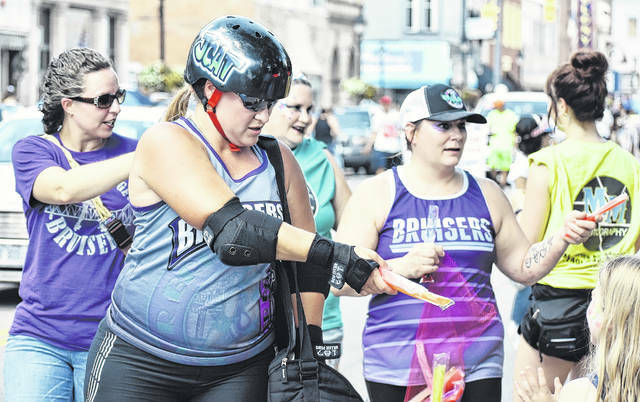 Members of the Silver Bridge Bruisers provide a cool treat along the parade route. 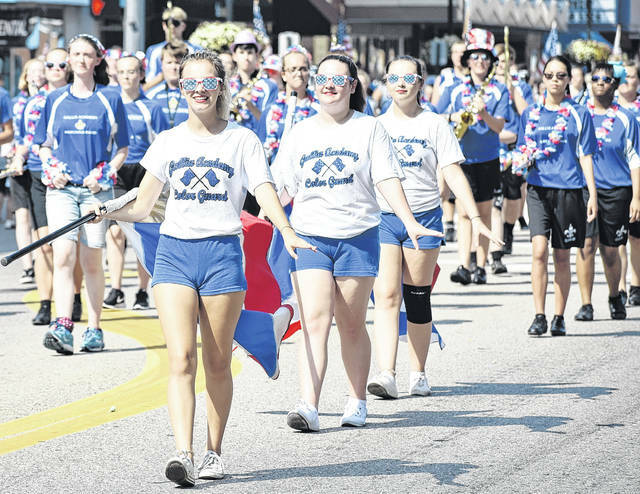 Members of the Gallia Academy Marching Band marched and played during the parade held on Wednesday. 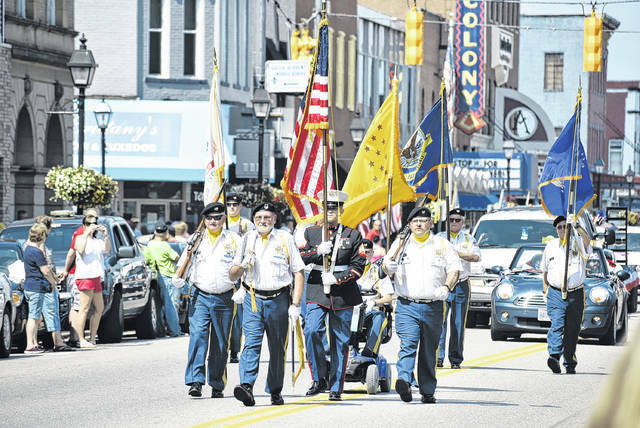 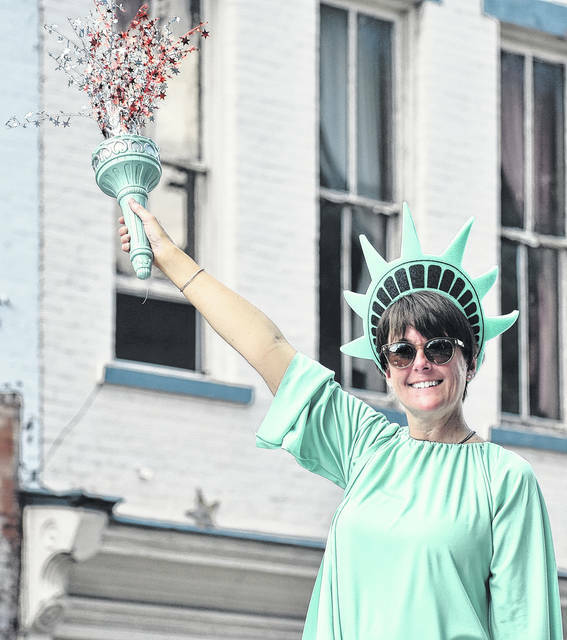 Symbols of liberty and freedom were on display throughout the parade and various events held during the 2018 Gallipolis River Recreation Festival. 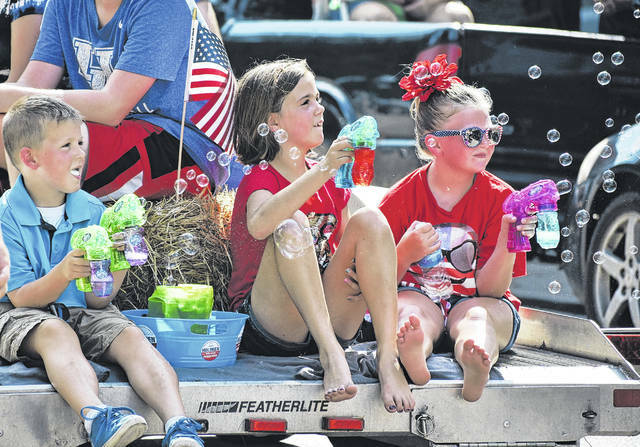 A trio of children blow bubbles from a float during the parade on Wednesday at the 2018 River Rec Festival. 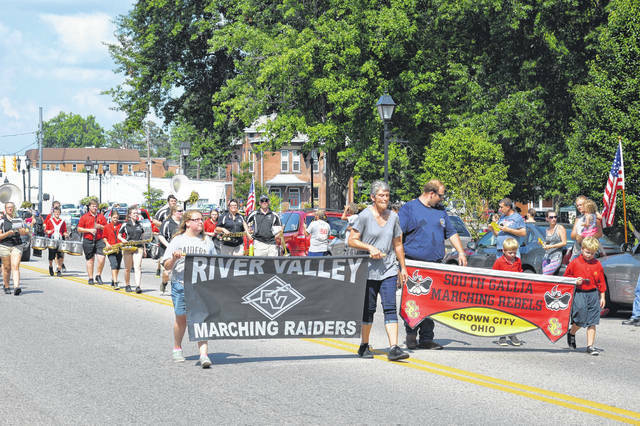 Both the River Valley Marching Band along with the South Gallia Marching Band stride down Second Avenue. 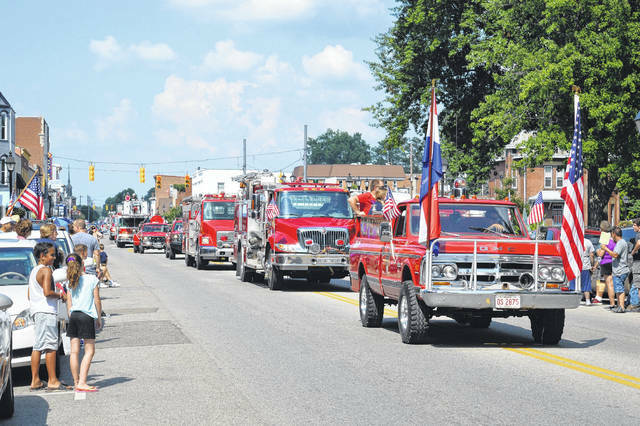 Area first responders and fire fighters roll down Second Avenue in Gallipolis.